Case Studies - Portfolio - Creative Networks Protocol Inc. 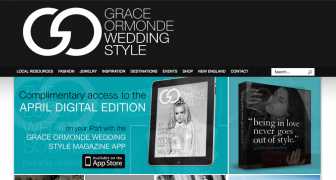 Wedding Style Magazine is one of the leading wedding resource directories in the country with a significant footprint in the global wedding marketplace. CNP restored and developed a series of complex integrations and custom extensions for this project. WS Magazine has an Extensive network of advertisers and listing services. CNP Integrations build many custom features and brought the out of hand source code under control by implementing a version control and change management system for the client. CNP customized this Learning management system with unique workflows and enhanced security. CNP also helpped them transition their architectures and systems into an easy to manage platform.